Our fleet of 35 vehicles allows us to offer our customers same day delivery throughout the UK and areas of Europe. At JMS of Doncaster, we use over 20 years of experience to provide our customers the best haulage delivery service available, guaranteeing same day delivery across the UK and areas of Europe, working hard to give you the most reliable haulage system possible. JMS of Doncaster are also members of Pallet-Track, the UK's fastest growing overnight palletised freight network, enabling us to deliver anything from as small as a quarter pallet to anywhere in the UK and Europe. No matter how big or small your haulage needs are, JMS of Doncaster can provide same day delivery with our express haulage service. JMS of Doncaster was founded in 1989 by John Sheard, using a single vehicle to offer a transport service. 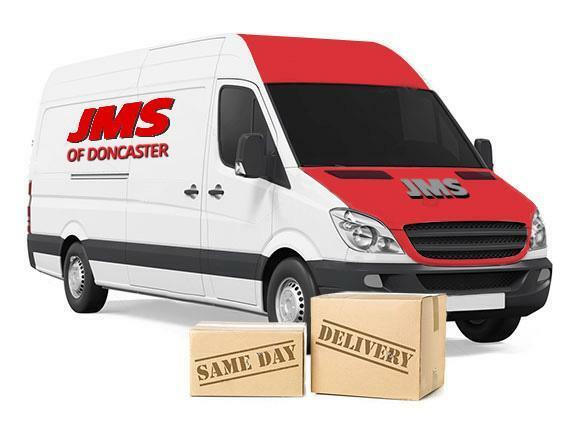 Over 20 years, JMS of Doncaster has grown to boast a fleet of 35 vehicles, offering everything from several types of trailer body with tail lifts, to a pick-up truck and van. We offer same day delivery for a variety of different haulage sizes; no matter how large or small, you can rely on us for your haulage needs. Because of our reliability, competitive rates, and knowledge, JMS of Doncaster deal with over 400 customers. We have built up a reputation as one of the UK's leading haulage companies. With a 24/7, 365-day service, our employees work round the clock to ensure your express haulage needs are met. We operate throughout the UK, Europe, and worldwide, with competitive rates. Contact us via the enquiry form below to find out more.